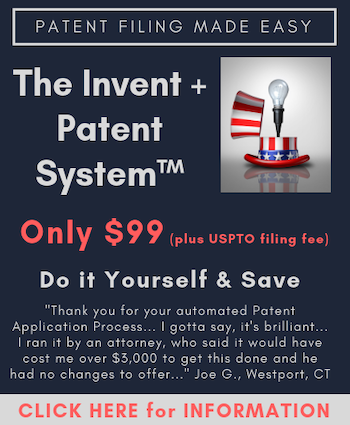 A patent is a proprietary right granted by the Federal government to an inventor who files a patent application with the United States Patent Office. The United States Constitution grants to the Congress the power to grant patents; this power residing in the Congress is found in Article I, Section 8, Clause 8. Why do you want a Patent? Moving from Idea to Patent: When Do You Have an Invention? Protecting an Idea: Can Ideas Be Patented or Protected? Inventorship 101: Who are Inventors and Joint Inventors? Can cake designs result in intellectual property protection? What is a patent and where do patent rights come from? When Should a Do It Yourself Inventor Seek Patent Assistance? Moving from Idea to Patent – When Do You Have an Invention? Q & A: File a Patent Application Before Market Evaluation? Should I File a Patent Before Licensing the Invention? Applying for a Patent in the U.S. The Law of Recipes: Are Recipes Patentable?